Updated | Donald Trump was thundering about a minority group, linking its members to murderers and what he predicted would be an epic crime wave in America. His opponents raged in response—some slamming him as a racist—but Trump dismissed them as blind, ignorant of the real world. No, this is not a scene from a recent rally in which the Republican nominee for president stoked fears of violence from immigrants or Muslims. The year was 1993, and his target was Native Americans, particularly those running casinos who, Trump was telling a congressional hearing, were sucking up to criminals. Trump, who at the time was a major casino operator, appeared before a panel on Indian gaming with a prepared statement that was level-headed and raised regulatory concerns in a mature way. But, in his opening words, Trump announced that his written speech was boring, so he went off-script, even questioning the heritage of some Native American casino operators, saying they “don't look like Indians” and launching into a tirade about “rampant” criminal activities on reservations. As Trump was denigrating Native Americans before Congress, other casino magnates were striking management agreements with them. Trump knew the business was there even when he was testifying; despite denying under oath that he had ever tried to arrange deals with Indian casinos, he had done just that a few months earlier, according to an affidavit from Richard Milanovich, the official from the Agua Caliente Band of Cahuilla Indians who met with Trump, letters from the Trump Organization and phone records. The deal for the Agua Caliente casino instead went to Caesars World. (In 2000, Trump won a contract to manage the casino for the Twenty-Nine Palms Band of Mission Indians, but after Trump Hotels and Casino Resorts declared bankruptcy in 2004, the tribe paid Trump $6 million to go away.) And in his purposeless, false and inflammatory statements before Congress, Trump alienated politicians from around the country, including some who had the power to influence construction contracts—problems that could have been avoided if he had simply read his prepared speech rather than ad-libbing. He is also pretty good at self-deception, and plain old deception. Trump is willing to claim success even when it is not there, according to his own statements. “I’m just telling you, you wouldn’t say that you're failing,” he said in a 2007 deposition when asked to explain why he would give an upbeat assessment of his business even if it was in trouble. “If somebody said, ‘How you doing?’ you're going to say you're doing good.” Perhaps such dissembling is fine in polite cocktail party conversation, but in the business world it’s called lying. When he was ready for college, Trump wanted to be a movie producer, perhaps the first sign that he was far more interested in the glitz of business than the nuts and bolts. He applied to the University of Southern California to pursue a film career, but when that didn’t work out, he attended Fordham University; two years later, he transferred to the Wharton School of Business at the University of Pennsylvania and got a degree in economics. Trump boasted when he announced his candidacy last year that he had made his money “the old-fashioned way,” but he is no Bill Gates or Michael Bloomberg, self-made billionaires who were mavericks, innovators in their fields. Instead, the Republican nominee’s wealth is Daddy-made. Almost all of his best-known successes are attributable to family ties or money given to him by his father. The son of wealthy developer Fred Trump, he went to work for his father’s real estate business immediately after graduating from Wharton and found some success by taking advantage of his father’s riches and close ties to the power brokers in the New York Democratic Party, particularly his decades-long friend Abe Beame, the former mayor of the city. Even with those advantages, a few of Trump’s initial deals for his father were busts, based on the profits. His first project was revitalizing the Swifton Village apartment complex in Cincinnati, which his father had purchased for $5.7 million in 1962. After Trump finished his work, they sold the complex for $6.75 million, which, while appearing to be a small return, was a loss; in constant dollars, the apartment buildings would have had to sell for $7.9 million to have earned an actual profit. Still, Trump happily boasted about his supposed success with Swifton Village and about his surging personal wealth. He already ached to be part of the Manhattan elite rather than just be known as the son of a Brooklyn developer. So, in 1970, he took another shot at joining the entertainment business by investing $70,000, to snag a co-producer’s credit for a Broadway comedy called Paris Is Out! Once again, Trump failed; the play bombed, closing after just 96 performances. Despite having no real success of his own, by the late 1970s, Trump was swaggering through Manhattan, gaining a reputation as a crass self-promoter. He hung out in the fancy nightspot Le Club, where he was chums with prominent New Yorkers like Roy Cohn, the one-time aide to Senator Joe McCarthy who was one of the city’s most feared and politically connected attorneys. Cohn became one of the developer’s lifelong mentors, encouraging the pugilistic personality that showed itself all the way back in second grade, when Trump punched his music teacher. Soon Trump gained the public recognition he craved. Through a wholly owned corporation called Wembly Realty, Trump struck a partnership with a subsidiary of Hyatt Hotels. That partnership, Regency Lexington, purchased the struggling Commodore Hotel for redevelopment into the Grand Hyatt New York, a deal Trump crowed about when he announced he was running for president. He failed to mention that this deal was once again largely attributable to Daddy, who co-guaranteed with Hyatt a construction loan for $70 million and arranged a credit line for his boy with Chase Manhattan Bank. The credit line was a favor to the Trump family, which had brought huge profits to the bank; according to regulatory records, the revolving loan was set up without even requiring a written agreement. Topping off the freebies and special deals that flowed Trump’s way, the city tossed in a 40-year tax abatement. Trump’s “success” with the Hyatt was simply the result of money from his dad, his dad’s bank, Hyatt and the taxpayers of New York City. Despite the outward signs of success, Trump’s personal finances were a disaster. In 1978, the year his father set up that sweet credit line at Chase, Donald’s tax returns showed personal losses of $406,386—$1.5 million in present-day dollars. Things grew worse in 1979, when he reported an income of negative $3.4 million, $11.2 million in constant dollars. All of this traced back to big losses in three real estate partnerships and interest he owed Chase. With Trump sucking wind and rapidly drawing down his line of credit, he turned again to Daddy, who in 1980 agreed to lend him $7.5 million. All of these names and numbers can grow confusing for voters with little exposure to the business world. So to sum it all up, Trump is rich because he was born rich—and without his father repeatedly bailing him out, he would have likely filed for personal bankruptcy before he was 35. ​As his personal finances were falling apart, Trump got a big idea for how to make money: casinos. In early 1980, he received a phone call from Alan Lapidus, an architect who was a friend of Fred Trump. Lapidus gave Donald Trump a hot tip—there was a parcel of land available in Atlantic City that was zoned for use by a casino hotel. Gaming had been legalized in New Jersey in 1978, and casinos in Atlantic City were already reporting big business. At the time, Trump was deep into plans to turn Bonwit Teller’s flagship department store into Trump Tower—a transformation achieved with the help of Roy Cohn, who fought in the courts to win Trump a huge tax abatement. Still, Trump jumped on the casino idea and had a lawyer reach out to the owners to negotiate a lease deal. In August 1980, the Trump Plaza Corporation was incorporated in New Jersey, and nine months later it applied for a casino license. Trump wanted to build a 39-story, 612-room hotel and casino, but the banks refused to finance his adventure. So, instead, he struck a partnership with Harrah’s Entertainment in which the global gaming company and subsidiary of Holiday Inn Inc. put up all the money in exchange for Trump developing the property. In 1984, Harrah’s at Trump Plaza opened, and Trump seethed. He had wanted his name to be the marquee brand, even though Harrah’s had an international reputation in casinos and he had none. He even delayed building a garage because his name was not being used prominently enough in the marketing. ​According to court papers, Harrah’s spent $9.3 million promoting the Trump name, giving the New York developer a reputation in the casino business he’d never had before. And Harrah’s quickly learned the price—now, with Trump able to argue he knew casinos, financing opportunities that did not exist before opened up, and he was able to use Harrah’s promotion of him as a lever against the entertainment company. Soon after that first casino opened, Trump took advantage of his new credibility with financial backers interested in the gaming business to purchase the nearly completed Hilton Atlantic City Hotel for just $320 million; he renamed it Trump Castle. The business plan was ludicrous: Trump had not only doubled down his bet on Atlantic City casinos but was now operating two businesses in direct competition with each other. When Trump Castle opened in 1985, Harrah’s decided to ditch Trump and sold its interest in their joint venture to him for $220 million. Still, he wanted more in Atlantic City—specifically, the Taj Mahal, the largest casino complex ever, which Resorts International was building. This made the Casino Control Commission nervous because it could have meant that the financial security of Atlantic City would be riding on the back of one man. But Trump brushed those concerns aside at a February 1988 licensing hearing—after all, his argument went, he was Donald Trump. He would contain costs, he said, because banks would be practically throwing money at him, and at prime rates. He would be on a solid financial foundation because the banks loved him so much, unlike lots of other companies and casinos that used below-investment-grade, high-interest junk bonds for their financing. “I’m talking about banking institutions, not these junk bonds, which are ridiculous,” he testified. But Trump’s braggadocio proved empty. No financial institution gave him anything. Instead, he financed the deal with $675 million in junk bonds, agreeing to pay an astonishing 14 percent interest, about 50 percent more than he had projected. That pushed Trump’s total debt for his three casinos to $1.2 billion. For the renamed Trump Taj Mahal to break even, it would have to pull in as much as $1.3 million a day in revenue, more than any casino ever. Meanwhile, another Trump disaster was brewing. Eastern Air Lines, which had been struggling, put its northeastern air shuttle up for sale. Trump persuaded the banks to lend him $380 million to purchase the route, and in June 1989 the Trump Shuttle began flying. Trump introduced the airline with his usual style—by insulting the competition. At an elegant event at Logan Airport in Boston, Trump took the stage and suggested that the other airline with a northeastern shuttle, Pan Am, flew unsafe planes. Pan Am didn’t have enough cash, he said, and so it couldn’t spend as much as the Trump Shuttle on maintenance. “I’m not criticizing Pan Am,” Trump told the assembled crowd. “I’m just speaking facts.” But Trump offered no proof, and others in the airline industry seethed; talking about possible crashes was bad for everyone’s business. He promised to transform his shuttle into a luxury service—bathroom fixtures were colored gold, and the plane interiors were decked out with mahogany veneer. He was spending $1 million to update each of the planes, which were individually worth only $4 million. With those changes, he boasted, he would increase the shuttle’s market share from 55 to 75 percent. But just like with casinos, Trump was in a business he knew nothing about. Customers on a one-hour flight from Washington to New York didn’t want luxury; they wanted reliability and competitive prices. Trump Shuttle never turned a profit. But it didn’t have much of a chance; even as he was preening about his successes, Trump’s businesses were falling apart and would soon bring the shuttle crashing down with them. At 1:40 p.m. on October 10, 1989, the four-blade rotor and tail rotor broke off of a helicopter flying above the pine woodlands near Forked River, New Jersey. The craft plunged 2,800 feet to the ground, killing all five passengers. Among them were three of Trump’s top casino executives. With the best managers of his casinos dead, Trump for the first time took responsibility for running the day-to-day operations in Atlantic City. His mercurial and belligerent style made a quick impact—some top executives walked, unwilling to put up with his eccentricities, while Trump booted others. The casinos were struggling so badly that Trump was sweating whether a few big winners might pull him under. He once hovered over a baccarat table at the Plaza, anxiously watching a Tokyo real estate tycoon who had won big at the casino in the past; executives at the casino were humiliated, since Trump was signaling that he was frightened customers might win. (The Japanese tycoon lost that night.) By early 1990, as financial prospects at the casinos worsened, Trump began badmouthing the executives who had died, laying blame on them, although the cause of his problems was the precarious, debt-laden business structure he had built. It didn’t matter—Trump’s casino empire was doomed. A little more than a year after the opening of the Taj, that casino was in bankruptcy court, and was soon followed there by the Plaza and the Castle. Under the reorganization, Trump turned over half his interest in the businesses in exchange for lower rates of interest, as well as a deferral of payments and an agreement to wait at least five years before pursuing Trump for the personal guarantees he had made on some of the debt. The total debt remained huge, weighing down the reorganized company for years. In 2004, Trump Hotels & Casino Resorts—the new name for Trump’s casino holdings—filed for bankruptcy, and Trump was forced to relinquish his post as chief executive. The name of the company was then changed to Trump Entertainment Resorts; it filed for bankruptcy in 2009, four days after Trump resigned from the board. Trump has also based huge projects on temporary business trends. For example, for a few years during the George W. Bush administration, wealthy expatriates from around the Middle East flocked to Dubai. In response, Trump launched work on a 62-story luxury hotel and apartment complex on an artificial island shaped like a palm tree. But, as was predictable from the start, there were only so many rich people willing to travel to the United Arab Emirates, so the flood of wealthy foreigners into the country slowed. The Trump Organization was forced to walk away from the project, flushing its investments in it. Trump hosted a glitzy event in 2006 touting Trump Mortgage, then proclaimed he had nothing to do with managing the firm when it collapsed 18 months later. (Trump tried again, rechristening the failed entity as Trump Financial. It also failed.) That same year, he opened GoTrump.com, an online travel service that never amounted to more than a vanity site; the URL now sends searchers straight to the Trump campaign website. 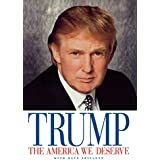 Also in 2006, Trump unveiled Trump Vodka, predicting that the T&T (Trump and Tonic) would become the most requested drink in America (he also marketed it to his friends in Russia, land of some of the world’s greatest vodkas); within a few years, the company closed because of poor sales. In 2007, Trump Steaks arrived. After two months of being primarily available for sale at Sharper Image, that endeavor ended; the head of Sharper Image said barely any of the steaks sold. Amusing as those fiascos are for those of us who didn’t lose money on them, the most painful debacles to witness were many involving licensing agreements Trump sold to people in fields related to real estate. There is the now-infamous Trump University, where students who paid hefty fees were supposed to learn how to make fortunes in that industry by being trained by experts handpicked by Trump; many students have sued, saying the enterprise was a scam in which Trump allowed his name to be used but had nothing else to do with it, despite his claims to the contrary in the marketing for the “school.” The litigation has already revealed plenty of evidence that the endeavor was a scam. Particularly damning was the testimony of former employee Ronald Schnackenberg, who recalled being chastised by Trump University officials for failing to push a near-destitute couple into paying $35,000 for classes by using their disability income and a home equity loan. Around the country, buyers were led to believe they were purchasing apartments in buildings overseen by Trump, although his only involvement in many cases was getting paid for the use of his brand. For example, in 2009, Trump and a developer named Jorge Pérez unveiled plans for Trump Hollywood, a 40-story oceanfront condominium that they boasted would sell at premium prices and feature such luxuries as Italian cabinetry. But with the entire real estate market imploding, condo buyers were looking for bargains, and sales were minuscule. In 2010, lenders foreclosed on the $355 million project. Even though Trump’s name was listed on the condominium’s website as the developer, he immediately distanced himself from the project, saying he had only licensed his name. A similarly sordid tale unfolded for Trump Ocean Resort Baja Mexico, a 525-unit luxury vacation home complex that Trump proclaimed was going to be “very, very special.” His name and image were all over the property, and he even personally appeared in the marketing video discussing how investors would be “following” him if they bought into the building. Scores of buyers ponied up deposits in 2006, but by 2009 the project was still just a hole in the ground. That year, the developers notified condo buyers their $32 million in deposits had been spent, no bank financing could be obtained, and they were walking away from the project. Scores of lawsuits claimed the buyers were deceived into believing Trump was the developer. Trump walked away from the deal, saying that if the condo buyers had any questions, they needed to contact the developer—and that wasn’t him, contrary to what the marketing material implied. The same story has played out again and again. In Fort Lauderdale, Florida, people who thought they were buying into a Trump property lost their deposits of at least $100,000, with Trump saying it was not his responsibility because he had only licensed his name. Investors in another failed Floridian property, Trump Tower Tampa, put up millions in the project in 2005 believing the building was being constructed by him. Instead, they discovered it was all a sham in 2007, inadvertently from Trump, when he sued the builder for failing to pay his license fees. The investors lost their money, and finally got to hear Trump respond to allegations that he had defrauded them when they sued him. In a deposition, lawyers for the Tampa buyers asked him if he would be responsible for any shoddy construction; Trump responded that he had “no liability” because it was only a name-licensing deal. As for the investors, some of whom surrendered their life savings for what they thought was a chance to live in a Trump property, Trump said they at least dodged the collapse of the real estate market by not buying the apartments earlier.